Quan drops of his daughter at a dress shop then attempts to park his car but gets in an accident. When he and the other driver start to argue, a bomb explodes and kills 12 people, including his daughter. Quan is consumed with the loss because he already lost 2 daughters and his wife. His daughter was the only family he had left. He visits the police station every day asking for the name of the bombers but the police don’t know. Quan even offers £30,000 for the names but the police can’t do that. While watching the news, Quan learns that the Authentic IRA have taken responsibility for the bombing. Also, Quan sees Liam doing an interview on TV. During the interview, Liam, now a British Government official, use to belong to the IRA. Quan believes Liam must know something. So he calls every day for information. After his requests go ignored, Quan goes to visit Liam at his office. Liam states that he doesn’t know anything about the bombing. Quan doesn’t believe Liam and will go through hell or high water to get the name of the men who killed his child. Based on The Chinaman By Stephen Leather, this action movie packs more emotion than you are lead to believe (FTC Affiliate Disclaimer). This is not a simple “kill everyone” movie. In fact, Quan doesn’t kill that many people. He leaves them hurt or unconscious. 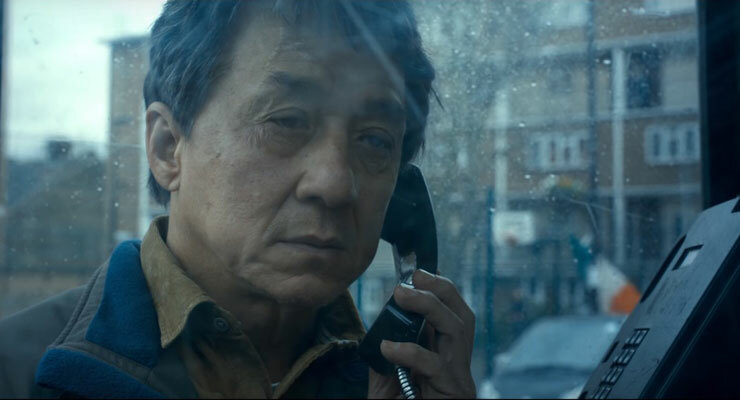 This movie starts with some great acting from Jackie Chan as he displays the pains of a father that has nothing left. As the action picks up, you will get drawn to Quan’s ability to outwit the people around him. As great as Jackie is in the film, the story focuses more on Liam and the bombers. You will get a tale of Irish espionage, affairs, and government cover-ups. This story is complex and covers a lot of ground in a little time. This is worth seeing in theaters at full price but be forewarned of the 3 different accents throughout the film: Chinese, Irish, and British. If you have a hard time understanding any, this movie may have difficult moments for you. Teresa, a.k.a Tree wakes up in Carter’s dorm room with a raging headache. She asks him for an aspirin, puts on her clothes, and leaves. She heads to her sorority house and crosses an activist, sprinklers, a car alarm, and pledges. She is greeted by Danielle with accusations about what she did the night before and with whom. She brushes off Danielle after being reminded of a frat party that night. She heads to her room and is given a surprise birthday cupcake by her roommate Lori. She throws the cupcake away (too many carbs) and heads to her class. After class, she meets with her sorority sisters and helps them make fun of another sister. When Carter causes a drink to be spilled on her, she snaps and insults him. Next, she meets up with her married professor and makes out with him. Later, she heads to the frat party. On the way she finds a jewelry box playing “Happy Birthday” and seeks a person wearing a school mascot mask. Then, the person stabs her in the chest. When she wakes up, she is in Carter’s bedroom with a raging headache and chest pains. She realizes she is reliving the same day over again. After a few deaths, Carter tells her she needs to solve her own murder to make it stop. The problem: Each time she wakes up, she is weaker and has pain from the last death. She must find out who is killing her before Tree runs out of lives. This is Groundhog’s Day meets Before I Fall with a murder mystery thrown into the mix. The first time she gets killed, you don’t feel bad because she is a horrible person with little respect for anyone around her. But with each life, she changes a little and sees the error of her ways. You will keep track of everyone she pisses off in order to solve the case. During some lives, she will make sacrifices to save herself and others. And each death will answer some questions but raise some too. This is a fun slasher flick with plenty of humor thrown in the film. You may jump one or two times, but you will not be completely frightened. This movie focuses on the mystery more than the murder. See it at matinee price or wait for RedBox. Alex is a photojournalist who is leaving for her wedding. Ben is a neurosurgeon who is leaving to perform surgery on a 10-year-old. But due to an incoming storm, their flights were canceled. Alex overhears Ben’s problem and comes up with a solution. They will charter a flight to a nearby airport and continue to their respective destinations from there. Ben thinks this is a great plan and pays for Alex’s ticket to her next flight. They meet their pilot Walter, who is a Vietnam Vet. Walter is not worried about the storm because he has been through worse. However, once they are in the air, Walter has a stroke and their plane crashes. When Ben wakes up, he sees that Walter is dead, the dog is alive, and Alex his hurt and unconscious. After 36 hours, Alex wakes up and wants to leave because she feels that no one is looking for them. After both have brushes with death, Alex wants to start moving but Ben thinks staying put is best. Alex decided to leave Ben and take the dog. However, Ben knows she won’t make it on her own because of her injury and goes to find her. They will have to lean on each other to get through the mountain and horrific weather together and survive. 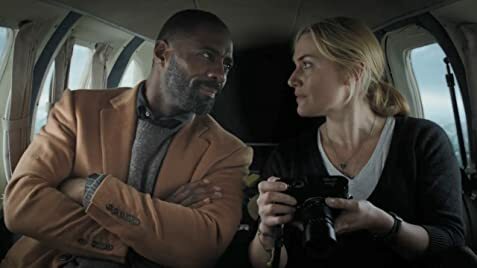 Based on The Mountain Between Us by Charles Martin, has plenty of tense moments that involve a cougar, slip & fall, a bear trap, and thin ice (FTC Affiliate Disclaimer). There is a moment where the cinematographer uses the magnificent landscape to give the audience a feeling of dread and doom. Of course, it doesn’t take long for the two to start bickering and impeding their own rescue. However, this fight only comes because they are both keeping secrets from each other. Revealing these secrets will unleash a dam of emotions. As a survival story, this movie is great but it defaults to a Hallmark movie at the end. The survival story is the movie’s saving grace because it is a realistic, raw, and honest.